The Kensington Collection is a wonderful blend of casual and traditional elements. Swirled glass shades are set atop a skilfully scrolled metal frame. These details come together to create a rich focal point for any room in your home. 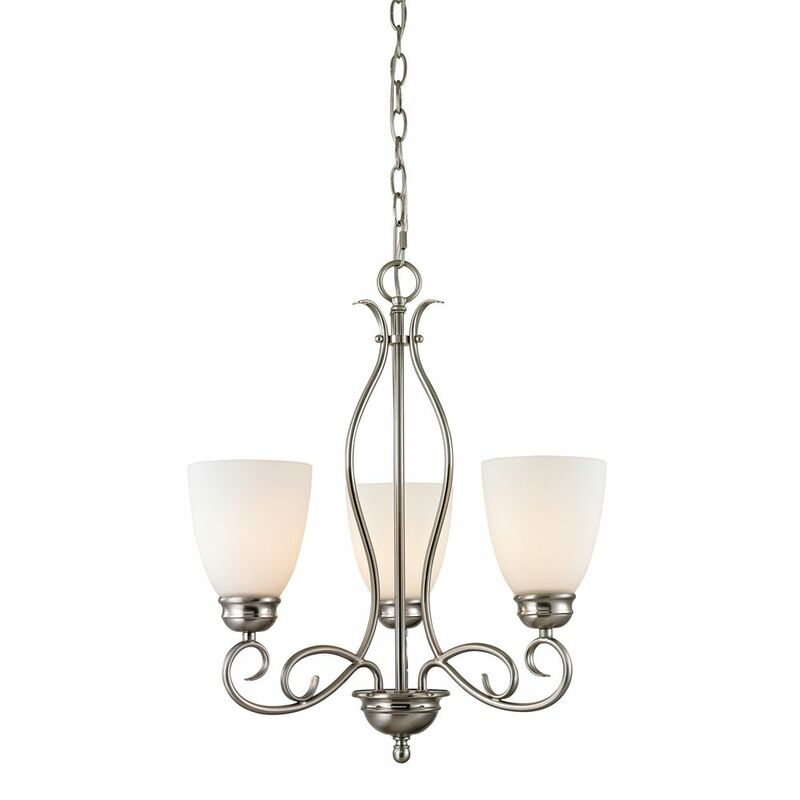 3 Light Chandelier In Brushed Nickel With Led Option This beautiful three light chandelier features a classic design with metalwork finished in brushed nickel and beautiful white glass shades.